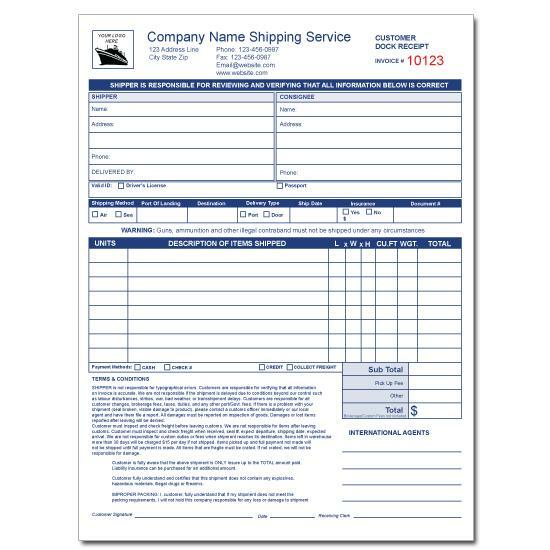 These forms are used by businesses involved in the shipping and receiving trade. Whether shipped or hand-delivered, packages should always contain a packing list. These itemize everything inside the boxes or bags being received, but they also serve as a bit of security for those involved on both sides of the transaction. 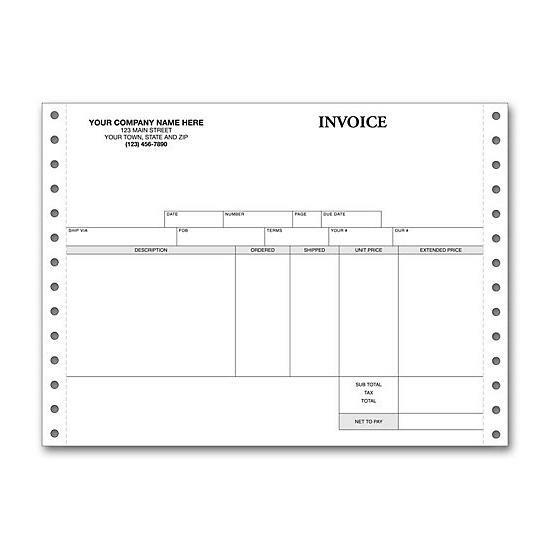 Order packing list envelope with pressure sensitive backing. 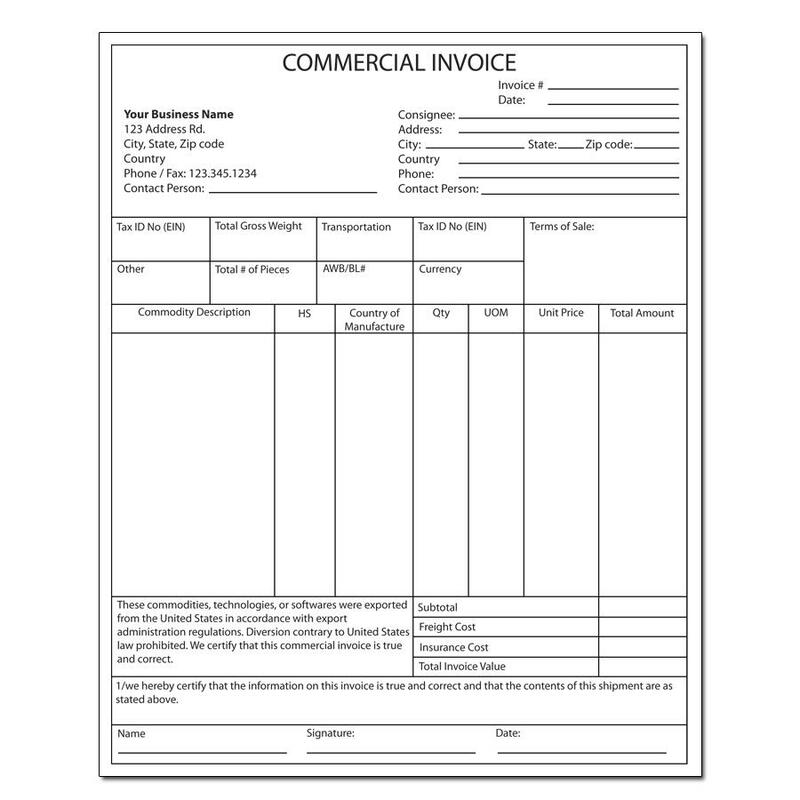 We offer low prices on bills of lading, delivery receipts, packing list invoice, packing list envelopes etc. 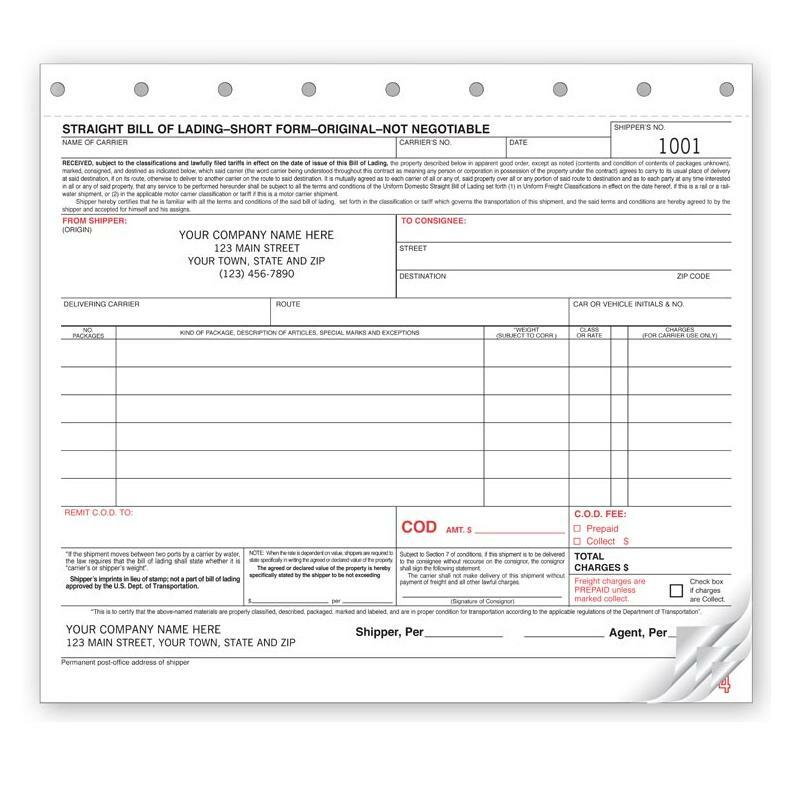 Custom Freight Bill Of Lading Forms is printed on NCR paper or 20 lb carbonless forms. 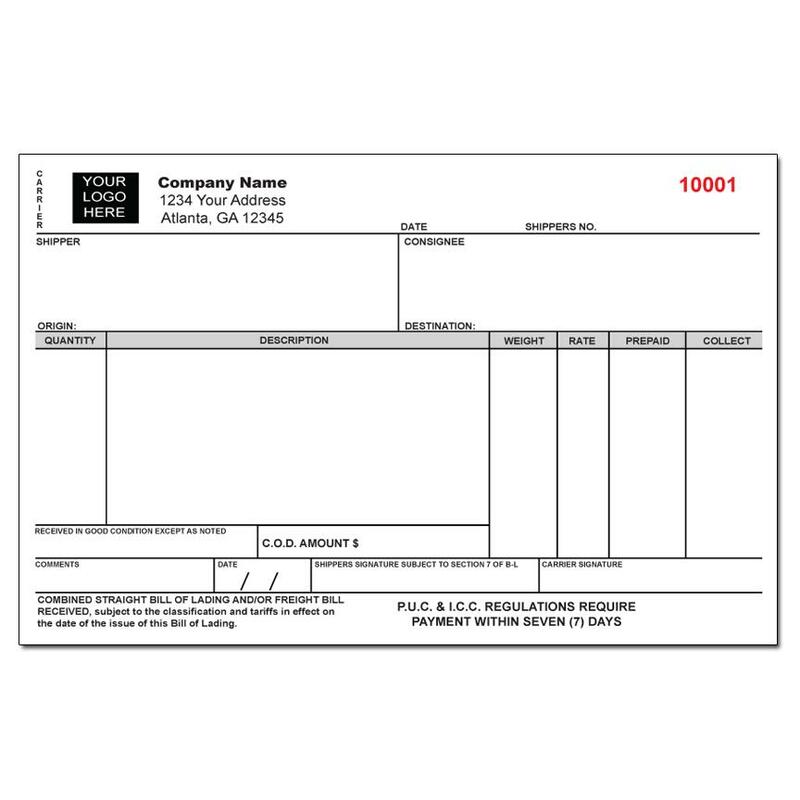 They can be personalized with your logo, business name, and business contact information. 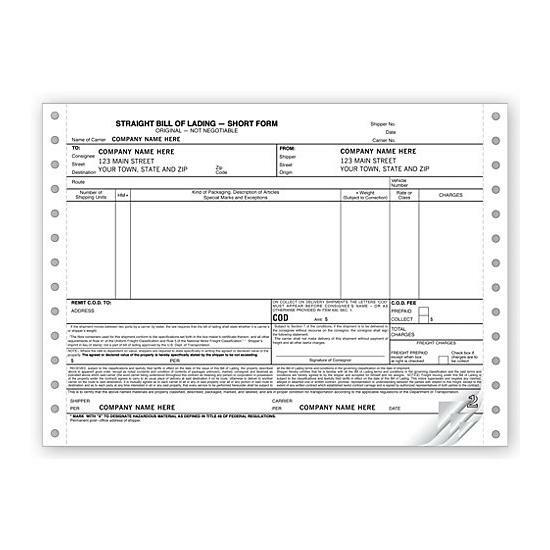 Select from our pre-printed templates that are created with all the necessary sections for shipping freight. They help to guide you every step of the way to ensure all the relevant information about the shipper, the consignee, and the item being shipped are captured. 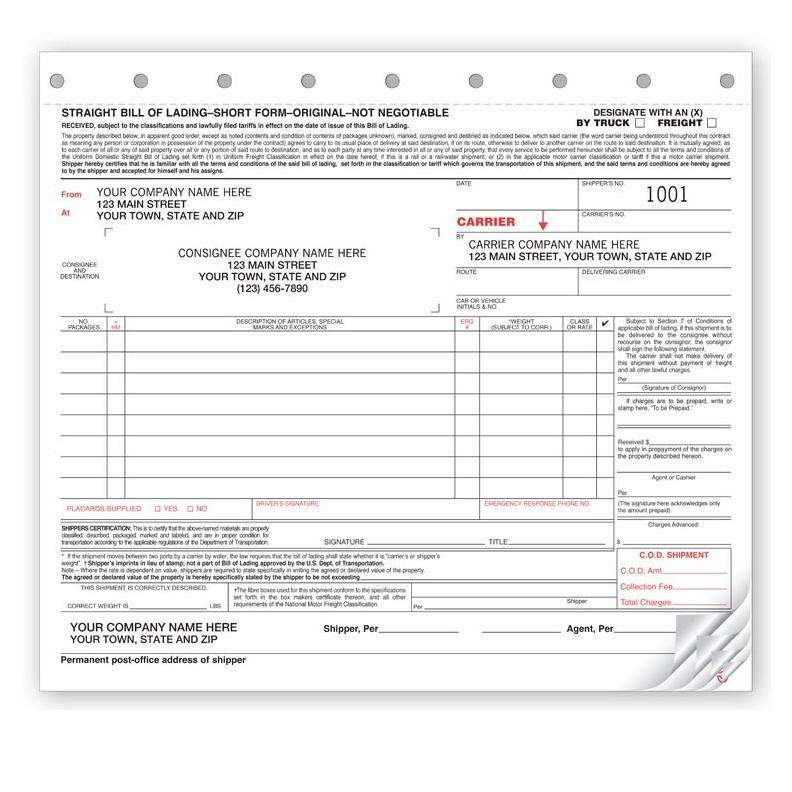 The Pre Printed Bill Lading forms have options for you to select if transportation is by truck or freight. 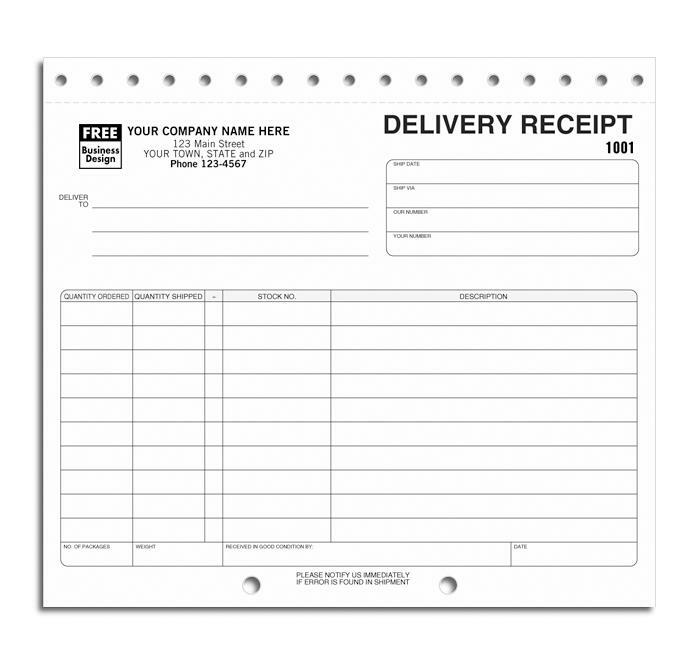 You can then write the date, shipper's number, carrier's number, name, the route, delivering carrier, car or vehicle initials or number. 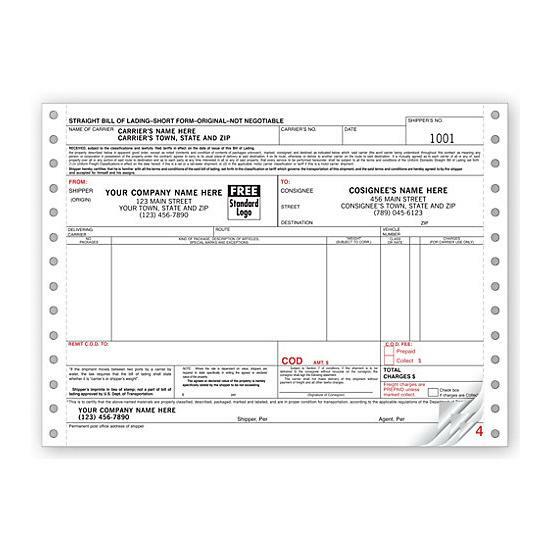 There is a section for you to input the Consignee and destination information. Below that you can list the no of packages, the description of articles, special marks and exceptions, weight, and class or rate. These are just some of the sections created to help you fill out the form easily. 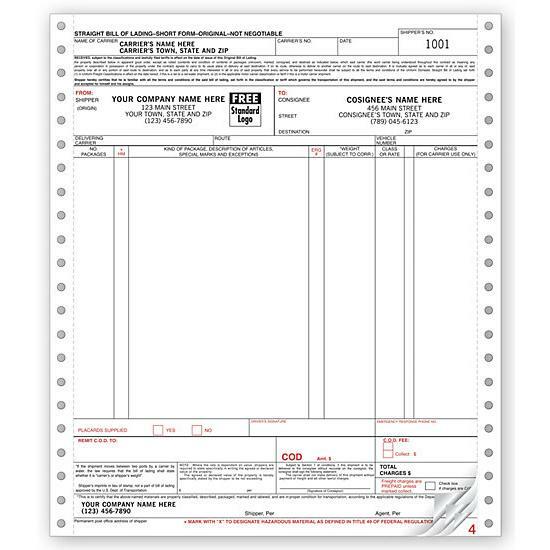 We offer the carbonless bill of lading forms with carbons, carbonless, small format, large format, continuous format, in books or booklets, as snap-set pads, computer format for the laser printer etc. We have compiled a variety of options for you to choose from. 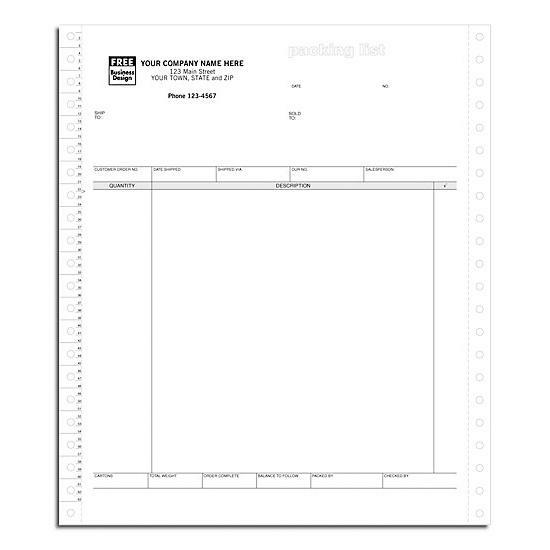 DesignsnPrint has a wide array of packing list form for you to choose from. Add your logo and business information to personalize for effective branding. 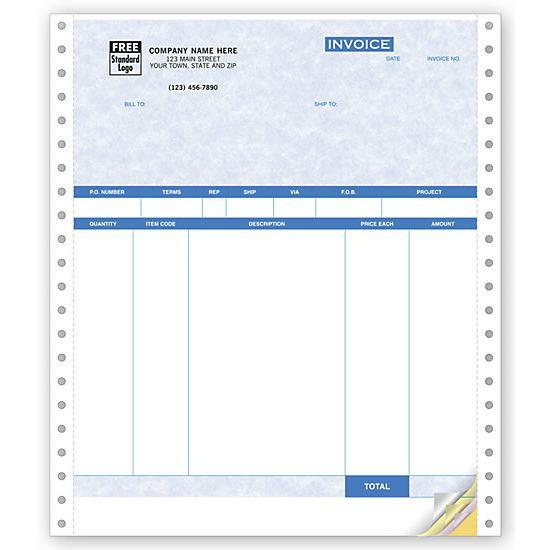 We have small or large invoice packing list, packing list with receipt and shipping label all in one, packing list in a booked format, continuous feed, snap set, plastic envelopes and more. They are made to accommodate commercial, international or local shipping. 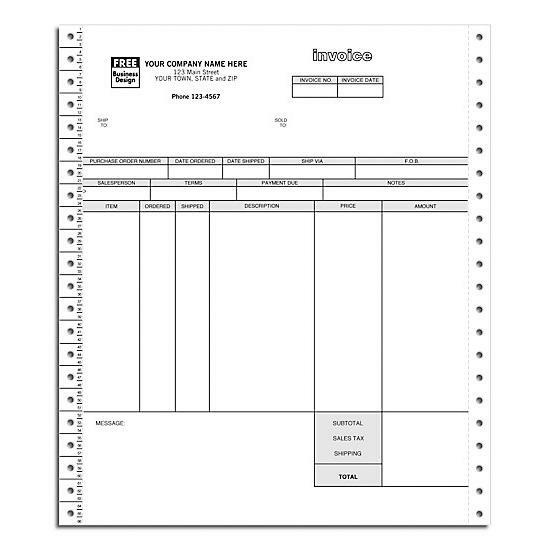 Our pre-printed templates have all the sections to guide you in filling out all the important details of each shipment. 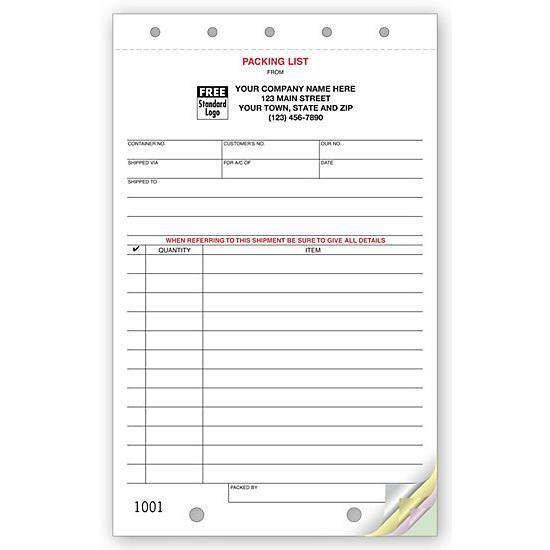 A packing list is made up of many sections including who the item is sold to and ship to, the customer’s order number, date shipped, shipped via, salesperson, packed by, quantity, and description. They are also consecutively numbered and can be printed on 2 (duplicate), 3 (triplicate) or 4 (quadruplicate) parts. The sizes we offer are 5 2/3 x 8 1/2", 8 1/2 x 11 3/4", 8 1/2 x 11", 8 1/2 x 7", and 9 1/2 X 11.